Yesterday Bethesda published a teaser for a new Fallout game. On its Twitter feed there was a GIF loop suggesting we #PleaseStandBy while it displayed a test card of sorts. Today, Bethesda has put some scraps of meat on those barren bones by sharing a 1 minute 30 YouTube video, with an accompanying blog post. 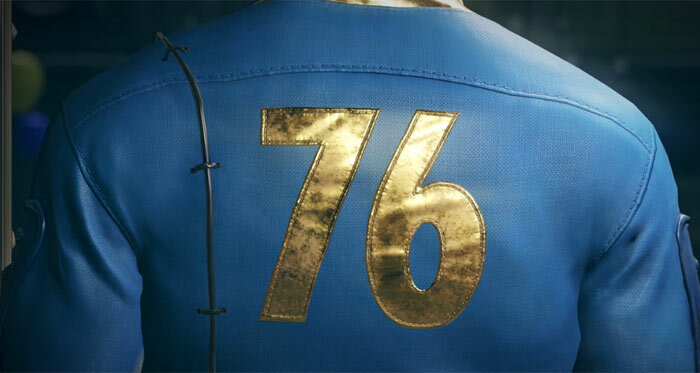 At least the new video and blog gives us a name for the forthcoming title - Fallout 76. 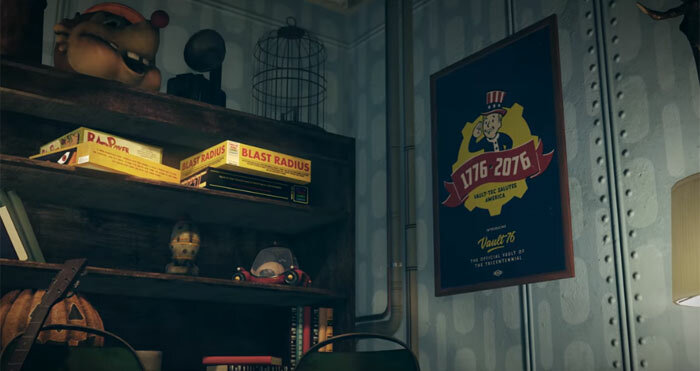 "In Vault 76 our future begins". At 6.30pm PT on 10th June at the Bethesda E3 Showcase in Los Angeles, CA, we will see and hear more details about Fallout 76. The event will be live-streamed on Twitch, YouTube, Twitter, Facebook or Bethesda.net if you can't make it in person. The year 1776 is significant to the United States as the official beginning of its nationhood, as any Wartonian knows. In the video we see that the tricentennial is referenced and "you are invited" to "celebrate reclamation day". On the whole, watching through the video isn't very illuminating. That might be because I have only dabbled ever so slightly in the Fallout games. However, reading around here and there I can't see anyone with a good solid explanation of the video and how it might translate into gameplay - for example. Kotaku thinks it has some background info about the upcoming game. Its sources say that Fallout 76 is "an online game of some sort". The game is being developed at both Bethesda Game Studios' main office in Maryland and at the Austin office formerly known as Battlecry Studios, says the Kotaku report. Battlecry Studios have expertise in 'hero shooter' style games, so perhaps Bethesda is eyeing this potentially lucrative gaming segment. I'm expecting a co-op base management game where you play the actual characters in a Fallout Shelter+State of decay type. I was hoping they would go for a new series, call it fallout Classic, isometric games with Obsidian at the helm given their success recently. Also as the game apparently had the name Starfield I wonder if this means,something to do with space?? A bit like ARK:Survival Evolved then? ?